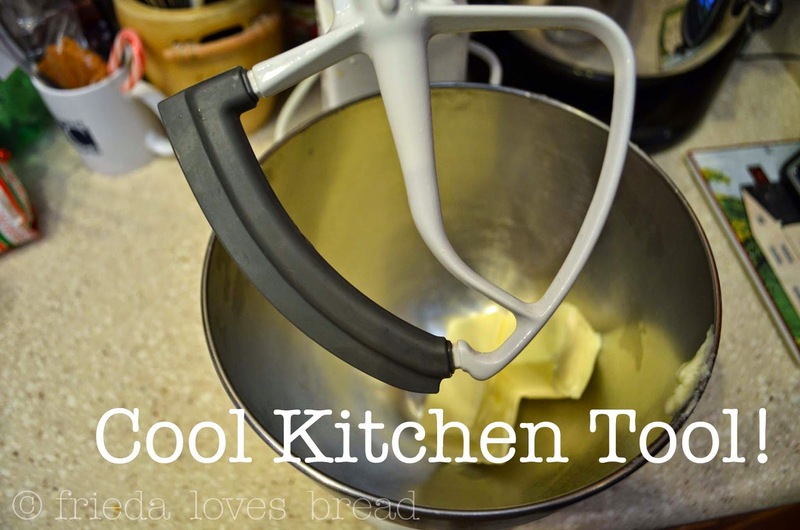 Have you tried this cool kitchen tool? It is a paddle scraper designed for a Kitchen Aid mixer. I had a Christmas gift card and decided to splurge. I'm so glad I did! It is technically called a KitchenAid KFE5T Flex Edge Beater , but I call it a "paddle scraper." Let's put it to the test on some room temperature butter, which will become my go to buttercream frosting for soft sugar cookies. As you can see, it scrapes the sides pretty well. Not perfectly clean, mind you, but clean enough that I don't have to stop the mixer, tilt the head back, dig a rubber spatula down all the sides and repeat the process throughout the recipe. 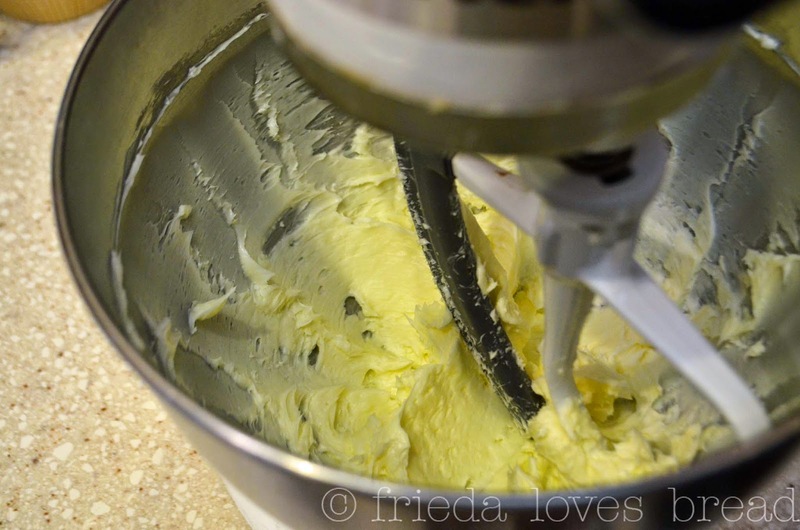 It even does a fair job of keeping ingredients from piling up on the "dimple" in the bottom of the mixing bowl! I''m pretty thrilled about that. I have been consistently using this paddle scraper for all my cookies, cakes and frostings, all with great results. I would NOT recommend putting this tool in the dishwasher, although it states on the box that it is dishwasher safe. The surface of my original KA paddle began bubbling and pieces of the white coating began breaking off. Not good. My next Kitchen Aid Flex Edge beater will be for my 7 qt. mixer. I can't wait for it to go on sale!